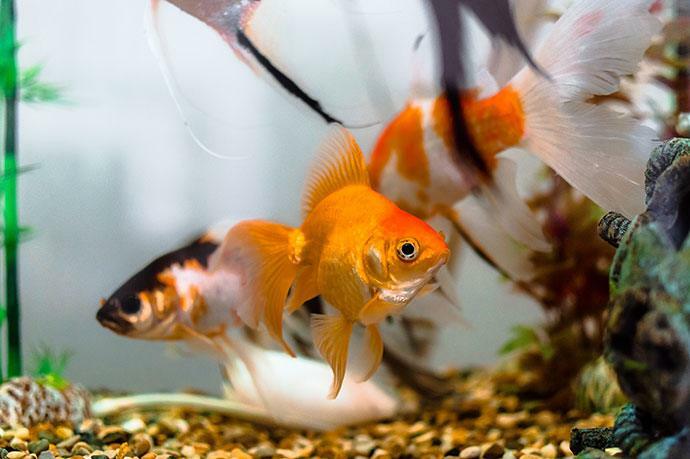 Home » Fish & Aquariums » What Are the Best Goldfish Food Products on the Market in 2019? Goldfish are the most iconic species of pet fish. These cute and beautiful critters are more delicate and sensitive than many owners think. To keep them healthy and swimming, you will want to feed your pet the best goldfish food products. After we look at the top three products, I will discuss goldfish and their nutritional needs. What Do They Need to Eat? What Are the Different Types of Food? 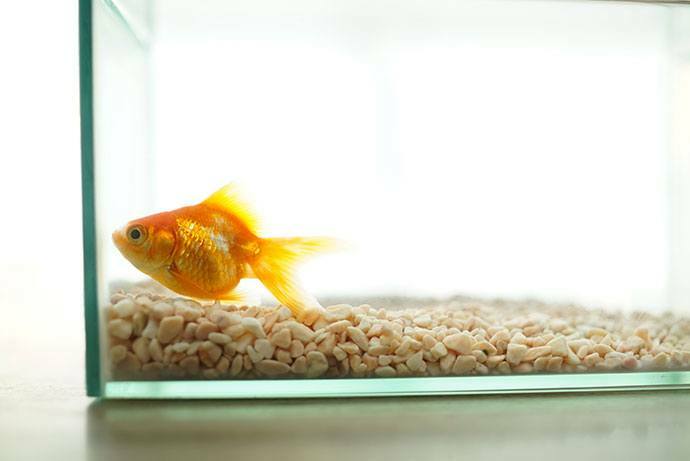 What Should You Look for in Goldfish Food? The first product on the list is a gel food by the brand Repashy. It, therefore, has all the benefits of this type of food. As a result of the moistness of the product, it is more digestible than some pellets and flakes. The gel structure means that the product holds together well and because of this it won’t make the tanks water cloudy, and the water will stay cleaner for longer. The Repashy Super Gold Gel Food requires a bit of effort as it isn’t ready to use out of the packet. The product comes in the form of a powder which you will need to combine with water and heated. After this, it has to be left at room temperature to set. You can then cut it into cubes and store it in a refrigerator or freezer. It lasts up to two weeks in the fridge and six months in the freezer. The product is relatively more expensive than others but depending on how many goldfish you have one pack can last two to three months. In addition to this, it constitutes a balanced meal. It is high in protein, and as a bonus, its recipe is made with a variety of natural ingredients. Diversity is always good in fish food as it makes sure that they are getting everything they need. Because gel food can be effortlessly eaten it is an excellent food to promote the growth of young fish. Tetra Pond Sticks is made for both goldfish and koi. The food was specially manufactured for outdoor use to feed fish who stay in ponds. It comes in the form of small sticks. These are bigger than pellets for goldfish. However, they are soft and become even more so when they are put in water. So your pet will be able to bite off smaller pieces to eat. In addition to this, they have a hollow center which makes it even easier for your goldfish to munch. The product floats on the surface of the pond. 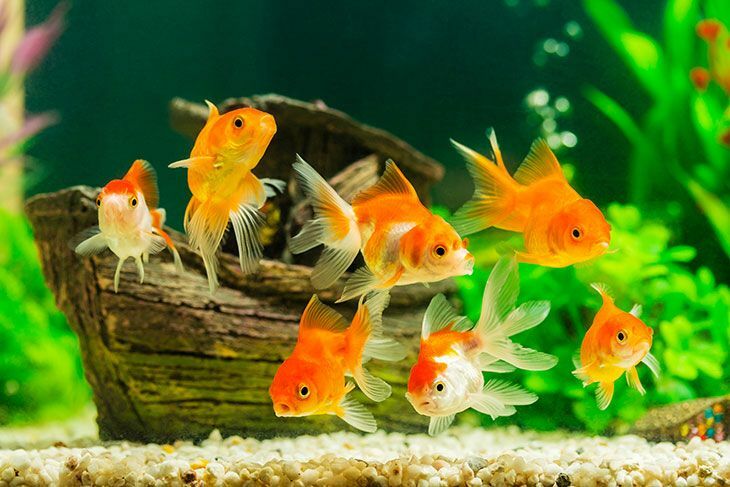 Floating is preferred for goldfish as they like eating food that is near the surface of the water. Because of this, the goldfish will eat it more quickly which means that there is less time for it to cloud the water. You will also be able to regulate how much you feed your pet more effectively. On top of being packed with all the necessary ingredients to keep your pet healthy, it also contains extra vitamin C.
The recommended serving for one goldfish is about two grams, and this means that one bag will probably last a couple of months. If you take this into account, the product provides excellent value for money. Hikari Bio-Pure Freeze Dried Blood Worms as the name suggests is made up of blood worms that have been freeze dried to preserve them. As a result of this, you get all the benefits of feeding them blood worms, without any of the hassles of taking care of and feeding your pets live ones. These critters are high in protein, and the product is made up of about 65% protein. Pet owners typically use bloodworms as a supplement because of their high protein content. However, this means that it doesn’t constitute a full balanced diet. So if you want to use this as your pet’s primary food source, you should probably give them some fresh or frozen peas or other extras for more nutrients. One of the best features of the product is the fact that it contains vitamin E, vitamin C, vitamin B1, vitamin B2, vitamin B6, and vitamin B12. These provide extra support for your pet’s health and wellbeing. The addition of vitamins makes it more complete than many other bloodworm products. The manufacturers recommend that you feed your pet three times a day which is fantastic for your pet but can be challenging if you are not at home. These bloodworms work best for aquarium goldfish. The worms can’t dissolve like other food types so it won’t cloud the water. Although all of these items are some of the best goldfish food products of 2019, not all of them might be right for you and your pet. How much does it cloud the water? The product that I would choose is the Repashy Super Gold Goldfish and Koi Gel Food. It is the most versatile product on the list as it can be used for indoor and outdoor fish and it can be used for goldfish and koi. The gel holds well so that it is less likely to make your tanks water cloudy. Not only is the product convenient, but it is also beneficial to your pet’s health as it is packed with highly digestible nutrients. You can use the tips discussed at the latter part of the article about feeding goldfish whenever you plan on buying food for your pet. Remember that choosing an item is only the first step and that you should make sure to use the product correctly. Although few people know this, goldfish originally come from China. Before they were domesticated, their ancestors the Chinese Crucial Carp swam in the freshwater ponds and rivers of this country. Since then breeders have bred a multitude of new and exotic subspecies and varieties. Goldfish are omnivores which means that they eat plant as well as animal matter. In the wild, they consume different plants, tiny crustaceans, zooplankton and insect larvae. When you feed your pet, you should take their natural diet into account. Their food should contain a balance of these nutritional contents. Their diet should be made up of 29-31% protein. To keep them at optimum health 7-12% percent of their food intake should be lipids. Another common element to look for in their diet are ingredients with pigments. However, no specific amount is specified. The inclusion of pigment in the foods recipe is more critical for ornamental and fancy fish like Lionhead, Oranda and, Ranchu goldfish. These ingredients will help to enhance their natural colors and will make them appear even more shiny and attractive. However, the products with high levels of pigment are often more expensive. As you know, owners often keep these fish in ponds with other species specifically koi. Luckily, goldfish and koi have similar dietary needs, and therefore products are often made that are suitable for both of them. Commercial goldfish food typically comes in the form of ready prepared flakes and pellets. The most suitable product types for ones who stay in ponds are generally seen to be sticks. Nowadays, there are a greater variety of options on the market like gel food. These products come in the form of powders that you buy and then mix at home. It’s crucial to keep in mind that the proteins shouldn’t come from land animal sources as your pet will probably struggle to digest them. No matter what type of food you choose, you should make sure that its recipe features a wide range of different ingredients. The more diverse, the better. As omnivores, goldfish thrive on a diet that includes food from multiple sources and of different types. That is one reason why people love to supplement their goldfish’ regular diet. It can be tricky to determine exactly how much of what nutrient your pet ingests so varying what they eat can help you to take care of this problem. There are a few forms of goldfish food that are available on the market. Gel goldfish food is an alternative to more traditional types of food. You can typically buy these products in the form of a dry powder that you can combine with water to transform it into its jellyish texture. There are a variety of benefits to this form of feed. One advantage is how convenient it is for your pet to eat. It is soft, and they can easily break up parts of it. As it is wet, a goldfish can digest it more efficiently. It is also much less likely to dissolve in water and therefore to make it dirty and messy. Dried food can probably be seen as the traditional domesticated goldfish diet. You will find these products in any department or pet store. They come in the form of flakes, pellets, granules, and sticks. You feed your pet with this by throwing the proper amount into the tank on the surface of the water. To avoid problems, you should soak dry food before feeding it to your pet. If not immersed it is more difficult to digest and can lead to constipation which can lead to even more severe problems like swim bladder. Live food is a less used option for feeding goldfish. The primary disadvantage of this type of food is the effort that it requires. In addition to this, this doesn’t necessarily constitute a complete diet. These foods generally involve things like shrimps or bloodworms and therefore are high in protein but could be lacking in other nutrients. Freeze-dried food is made up of the same type of protein sources and critters that you will feed them through live food. The protein sources like shrimps are freeze-dried to preserve them and to make it easier for you as the owner to feed it to your pet. Therefore, it is also usually not a balanced diet. However, it does come with the benefit that the freeze dry process sterilizes the food. The process kills off any parasites or bacteria that can harm your fish. The manufacturers can enrich the product with other nutrients like vitamins which makes it more nutritious than most live foods. As with any other pet, there are many supplements or extra treats that are safe for them to eat. Some of them come in the form of ready-made products. You can also feed our pet some fresh or defrosted peas. A favorite commercial treat is high protein food sources like shrimps.You should supplement your pet’s diet if their primary food source seems to be lacking in some respect. If you are going on a short holiday and there is no one to look after your pet you might want to consider getting your hands on a long-lasting pyramid or block. These blocks are made mainly to feed your pet when you are on holiday. They slowly release small amounts of food for your goldfish to feed. Before buying one of these products, you should check how many pets it is made to feed and for how long. You don’t want to underfeed your pet but if it releases too much food your tank will quickly become dirty from all the excess foodstuffs. A responsible owner will make sure to regulate the food intake of their pet. If you feed them to much at a time or the wrong thing it can cause problems like distention. That’s why you need to follow the product instructions carefully. Goldfish do not have true stomachs which means that they can benefit from eating smaller meals several times a day. You can do this by either feeding them yourself, using feeding blocks or getting an automatic feeder. It is recommended that you feed them three to four times meals a day. If you decide to feed them four times a convenient way to calculate the amount of food you should feed them each occasion is by testing and checking how much food they can eat in one minute and then give them this amount each time. Whenever you notice changes in their feeding patterns and behavior be more cautious as it might mean that something is wrong with your pet. The following video further explains how you should feed your goldfish. To sum up, the following are characteristics of products that you should think about when making a purchase. 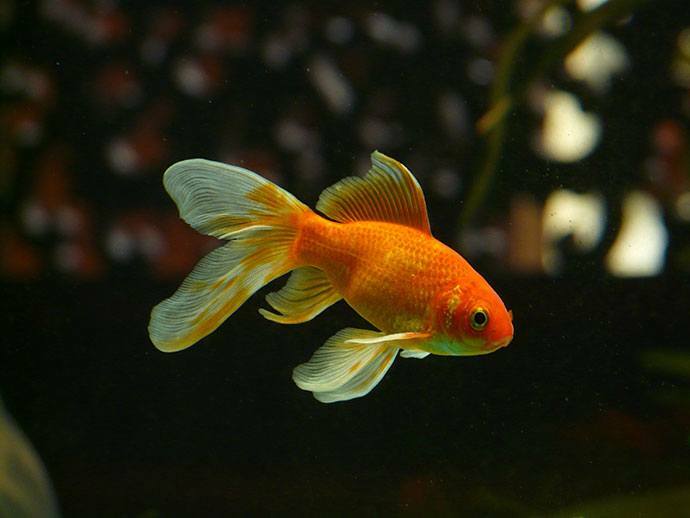 As has been mentioned, there are various types of food that you can feed your goldfish. The right form for your pet depends on their subspecies, their size, the amount of fish in the tank, and the possible times that you can feed them. Certain types of feed are also more likely to cloud the tank or pond water. Some products don’t have all the necessary nutritional content but are should instead be seen as supplements. Goldfish like all fishes can be very sensitive and this extends to their diets and digestive systems. Keeping your pet healthy, means giving them high-quality food with high-quality ingredients. The best goldfish food for your pet will contain the essential nutrients in the necessary balance. Check the label of the specific product to see whether it has the correct percentages of proteins and lipids. If it doesn’t, you might want to supplement their diet. Different products will have specific recommendations for the frequency of feeding and the amount of food that you need to give them. If you won’t be at home throughout the day so that you will be able to feed them enough times you will probably want to look at other options. You need to always look at the size of the food or pellet before making a purchase. You don’t want the food to be too large so that it can get stuck in your pet’s mouth. If your goldfish is still small or a juvenile you should be more careful. Owners often prefer flakes because fish can easily take pets of individual pieces. However, other types of food can also live up to these requirements. Some pellets and stick are made so that they dissolve or soften in water and can, therefore, be bitten into smaller pieces by your pet.